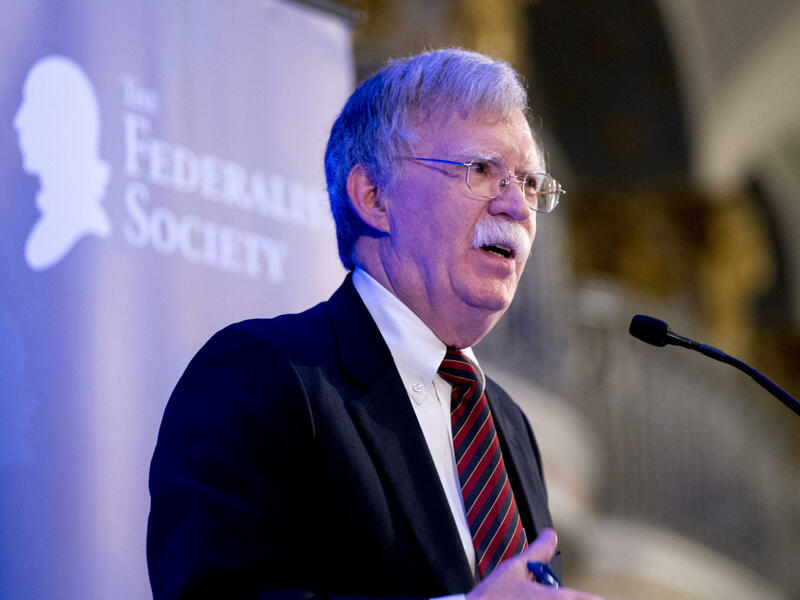 National Security Adviser John Bolton told the Federalist Society on Monday that the International Criminal Court is a threat to American sovereignty and national security. "The United States will use any means necessary to protect our citizens and those of our allies from unjust prosecution by the illegitimate court," Bolton said during a speech to the Federalist Society in Washington, D.C.
Bolton's speech outlined the Trump administration's opposition to the court. He said the court is a threat to American sovereignty and national security, arguing that that the court has very little accountability and that its definitions of crimes are "vague and subject to wide-ranging interpretation." Calling the proposed investigation of war crimes in Afghanistan "utterly unfounded," Bolton said the Trump administration will ban the court's judges and prosecutors from entering the United States if they move ahead with any prosecutions of Americans. Bolton also warned that the administration would work to sanction the funds of ICC officials and that officials would be prosecuted in U.S. criminal courts. He said the U.S. would take action against any countries or companies that cooperated with the ICC during the Afghanistan investigation. The court was founded in 2002. At that time, at the direction of then-President George W. Bush, the U.S. "unsigned" the statute that created the court. Bolton, who worked in the Bush administration, helped to lead the U.S. diplomatic opposition to the court. A U.S. law passed that same year authorizes the president to use whatever authority necessary to protect U.S. service members from prosecution by the ICC.